As part of the “#Rwanda20yrs” project, the National Security Archive published 17 United Nations Mission for Rwanda (UNAMIR) “situation reports” (sitreps) on its website last week. These sitreps demonstrate the failure of the United Nations to deliver even basic equipment and resources to its mission in Rwanda, and to prioritize the situation in Rwanda as necessary and important. The posting features a selection of the sitreps sent to UN headquarters from officers on the ground throughout January 1994 and highlights continuous shortcomings and the repeated requests for aid which were subsequently placed on the UN’s back burner. Three months later in April 1994, Rwanda descended into genocide while the international community stood idly by. In the months leading up to the genocide, UNAMIR peacekeepers faced significant challenges in carrying out precisely the work they were sent to Rwanda to do. Their mandate to monitor the security situation in Rwanda and to help implement the Arusha Peace Accords was simply impracticable, considering a dire lack in funding, support, and adequate personnel from the UN. 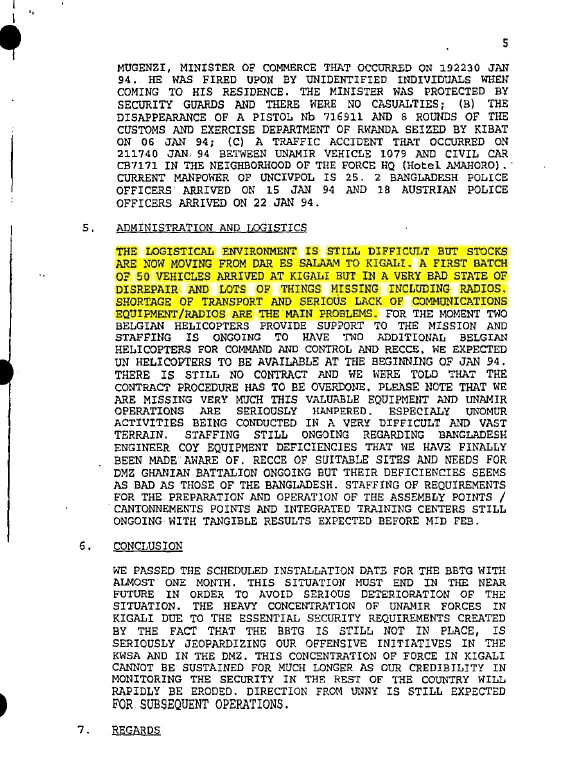 Nearly every daily sitrep in January 1994 repeats the urgent refrain that the “operational situation remains difficult due to the lack of vehicles and radios.” The sitreps demonstrate that not only did the peacekeeping mission start off with inadequate resources, but that daily requests for vehicles, radios, protective gear, additional personnel, and other necessities were all virtually disregarded. 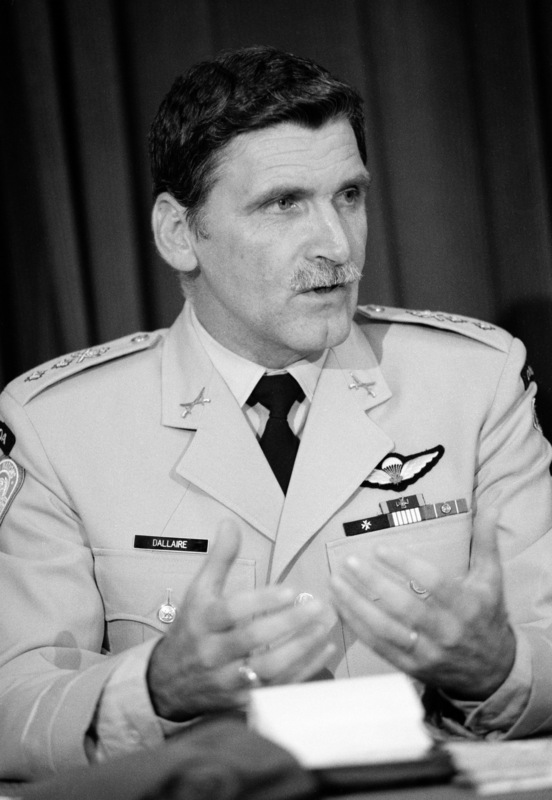 This critical situation is made clear in a sitrep from Special Representative to the Secretary General Jacques-Roger Booh-Booh on January 25, 1994, where he reported that having a concentration of UNAMIR troops in Kigali decreased “the overall availability of troops throughout the country,” and that “lack of communications and transport hampers operations” in the demilitarized zone. This sitrep is especially telling, as Booh-Booh also described a small shipment of vehicles that did finally come in, “but in a very bad state of disrepair.” Even when the UN did respond, they did not do so adequately. The refusal of the UN to prioritize the situation in Rwanda and the sitreps’ clear requests for additional aid crippled UNAMIR’s abilities to carry out much of its mandate, which had catastrophic consequences in directly influencing the violence and state of insecurity that led to mass genocide. The international community’s continual and deliberate lack of action illustrates the fatal flaws behind the current structures for responding to mass atrocities and crimes against humanity. Check out the electronic briefing book here: The Rwanda Sitreps. ← FRINFORMSUM 2/6/2014: NSA “probably” Collects Congressional Phone Data, the DEA Tries to Hide Classified Evidence with “Parallel Construction,” and Much More.